How to get to Porto? How to get to the School of Engineering (FEUP)? Bo Edvardsson (Bo.Edvardsson@kau.se) is Professor and Founder, CTF-Service Research Center and Vice Rector, Karlstad University, Sweden. 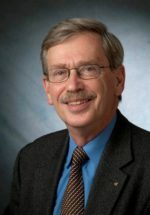 In 2008, he received the RESER Award “Commendation for lifetime achievement to scholarship” by The European Association for Service Research and in 2004 The AMA Career Contributions to the Services Discipline Award. 2013 Bo was appointed Distinguished Faculty Fellow of the Center for Excellence in Service, University of Maryland and Honorary Distinguished Professor of Service Management, EGADE Business School, Monterrey Tech, Mexico. Christian Grönroos is professor emeritus of service and relationship marketing at Hanken School of Economics, Finland. He has published extensively on service management and marketing and its many sub-fields, relationship marketing, marketing theory, marketing communication, and service as a business perspective (service logic). His publications are widely cited. In 2013 he was selected Legend in Marketing. In the early 90s he took the initiative to the establishment of CERS Centre for Relationship Marketing and Service Management, a research and knowledge centre of Hanken School of Economics. 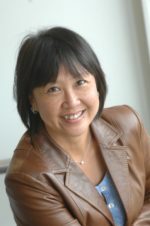 Irene Ng is an academic and entrepreneur. She has a BSc. Degree in Physics and Applied Physics from the National University of Singapore and a PhD, specialising in economic pricing models also from National University of Singapore. In her early career, Irene was CEO of SA Tours and Travel group of companies (Singapore, Malaysia, China and UK) and founded Empress Cruise Lines, a company with an annual turnover of USD250m, which she sold in 1996. She is currently the Director of Institute for Product and Service Innovation and the Professor of Marketing and Service Systems at the Warwick Manufacturing Group, University of Warwick. She is also the founder and Chairman of the Hub-of-all-Things (HAT) Foundation (http://hubofallthings.com) and the inventor of the HAT, a personal data Internet Platform. Irene is an advisor to several large organisations, startups and governments on design of markets, economic and business models. She is one of the ESRC/Innovate UK Caucus Thought Leaders (http://innovationcaucus.co.uk) the ESRC/AIM Services Fellow and the ESRC/NIHR Fellow. Irene has written 3 books, published in top journals, written in highly acclaimed scientific magazines and blogs, and well known for her academic papers that have steered the discipline of marketing, service operations and its roles in the digital economy and the Internet of Things. As a scientist and a social scientist, Irene holds a grant portfolio in access of £10m. Her personal website is at http://ireneng.com. Wolfgang Ulaga is AT&T Professor of Services Leadership & Co-Executive Director, Center for Services Leadership at the W.P. Carey School of Business, Arizona State University. Wolfgang’s research focuses on how B2B companies strategically compete through service. He investigates how firms implement service-growth strategies, manage the change from a product-centric to a service-savvy salesforce, design B2B service portfolios, capture more value through better pricing and sales of services, and develop new service business models in emerging and mature markets. 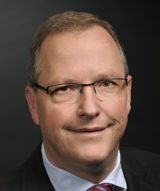 Wolfgang’s research has been published in leading academic and managerial journals, including Harvard Business Review, Journal of Marketing, Journal of the Academy of Marketing Science (JAMS); Journal of Service Research, Journal of Business Research, Industrial Marketing Management, among others. Wolfgang holds a PhD from the University of Paris 1, Pantheon-Sorbonne. Prior to joining ASU, he was on the full-time faculties at IMD Lausanne, HEC School of Management Paris, ESCP-EAP Paris, EDHEC Lille, and the University of Notre Dame, Indiana (Visiting Professor).